Modern healthcare facilities nowadays are facing more and more problems in terms of safety. With high technology equipments and crowds of patients, it is becoming more attractive and easier as an option to break into to loot. Although the physical items in the hospital tend to be very expensive and valuable and would get burglars a good profit in the black market, theft of invaluable information which are confidential and person is also becoming popular. Modern day hospitals run on computerized systems which are extremely easy to hack into even if you are not physically in the hospital, and this is worrisome compared to the days of stacks and stacks of handwritten paper clinical records. There are ways about ensuring there is security and protection around and inside any hospital, and in this article we will run through these points. One way to keep things more protected is to have an open system. There is a need to make sure that access control methods are dependent on an open physical structure of the hospital. This way you can add in more features and technology to the existing structure overtime. Technology should also be used in our favour to engage more protection. With recent advancements, using a smart card has become something very normal and common these days and this can come in handy as a baseline level of protection especially for information. Using smart cards along with other added elements of technology ensures that only those in power of the information are allowed to receive it. It should be added on with other protocols which operate along with the hierarchy of the staff level to ensure that information is passed down in a succinct and adequate manner protecting confidentiality where it can be afforded. Using protocols gives people an understanding of why things are run in a particular way and gives a blueprint to follow when things slip out of hand. It is also convenient to follow protocols since they are straight forward. Overtime it is bound to happen that more and more features are added to an existing system, so the present structures and people in this setting should be flexible to allow that to happen. They should also be quick to change along with the added features to use them to their benefits. For example in the case of smart cards, overtime, the management might want to comprise more features and access into a single card for convenience. This reduces the hassle of having to carry multiple access cards and also gives a more personalized access control system for each individual of the hierarchy. Such features run from opening through different doors in the hospital, accessing through different computer accounts, making purchases which do not require cash, and getting important and confidential material for their viewing. This is one important part of any security program of a building. The inflow and outflow of people must always be taken to account and must always be kept under control. Having guest books for people to sign in and out is a simple but very ineffective way to do this. Such should be changed with more advanced and protected systems like those that are able to screen, tag and track most visitors who are coming in. This is especially required for more important areas of the hospital like the VIP wards, Paediatric units and Intensive Care Units (ICU). It is important to note that not all visitors are those who are related to patients. Staff’s relatives, acquaintances, people who come into the hospital for projects regarding electricity and construction and even students on placements are all considered visitors. Some of these people as mentioned are required to have a daily access for a certain period of time and this should be addressed in the way we screen and badge them for them to feel convenient and for us to keep track of. It is important to safeguard patient’s clinical records more than any physical valuable item in the hospital. 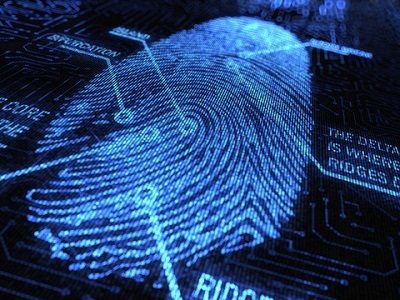 Confidentiality is crucial and the only way to limit computerized records from slipping into the wrong hands is to ensure that such records are made to be only viewed with certain devices. These devices should be registered with and should only be kept within the hospital. They should be also protected with passwords and other features for added protection and should be made clear with the management that such passwords are not to be given out easily. For visiting doctors, instead of sharing the passwords with the existing staff, they should be given one off sign in keys for them to access the information during the time period of which they are serving the hospital. This way no one would have the control to re-access the information at their own convenience. 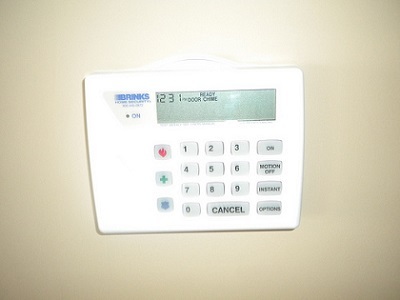 There are many different types of home alarm systems that you can choose from. Despite the variety that should give you joy to have your pick, it is often frustrating to learn about the advantages and disadvantages about each to make a wise choice. Having a good home security system can protect your expensive and precious belongings and can also safeguard your loved ones who stay at home with you. Thus choosing the right home alarm system to help you out in terms of security is very important. Since the process of learning about each can be tiring, we are going to help you out by summarizing for you about the four main types of home alarm systems and how each one works. A monitored home alarm system is one of the commonest types that people use to guard their homes. Having this system would send a signal to the nearest call center when you have a break in. The call center would then help you contact the police regarding the breach. One possible bad part about having a monitored home alarm system is that the signal has to go through your phone line outside and anyone who is planning to break in to your house can easily snap this line off before entering your property. Cutting this line off would then mean that there will be no alarm signal transmitted over to the call center for them to make a police report. But at the same time, you can be extra cautious and set up a mobile phone line or a radio line for back up if the external phone line gets cut. Another possible set back is that by the time the call center and the police are informed, the thief who breaks in still has some time to grab some items along with him or her before they make their escape. This is another type of home alarm system which immediately sets off a very loud siren sound both on the inside and the outside of your home when the alarm is triggered off. This system requires you to have very considerate neighbours who would then call the police if you are not at home. A great perk that comes along with this system is that you do not have to pay for any monitoring fees. You can also install this system with blinding and flashing lights so that anyone who is coming to help you out can locate your house very easily. With the bright lights and loud sirens, thieves are likely not to stay around too long in the fear of being caught, so they might loot away fewer items in the little time they have. The only problem is that you have to depend on your neighbours to seek help for you and they might not be at home all the time as well. You can get one of these wireless alarm systems off any hardware store yourself and you can install it yourself as well. Such systems are good because they are easy to handle on your own. Again, you don’t have to pay for any monitoring fees. You can also choose any setting that you feel comfortable with. You can choose from a range of sensors, beams, motion detectors and also cameras. However one downside is that there is a stated and limited distance between the cameras and sensor placement. Also, you might need to change your batteries often and check on them if they are working. This needs routine checking and also money once in a while to purchase good batteries. This type of home alarm system has a lot of advantages to it. It is usually used for houses that are under construction. An electric current security system helps you monitor all the small doors and windows and it sends a tiny beep when these doors or windows are being opened. It is also useful if you have pets or children in the house who you don’t want to get through some areas through these doors or windows. But one big problem is that if the external source of electricity is affected, your home alarm system would be affected as well. Lightning and other weather changes might cause a problem too. If you have an electrical generator in your house it might serve as a steady source of electric current for your convenience but if not, then you might need to rely on another system on par with this for assured security. This is especially true if you are living in an area with unstable electricity. I.G.S Security lives and breathes to help you out in times of need when your home security system is breached when it comes to burglars. We respond as quickly as we can and we would be there at your service to guard your loved ones and valuables when you are not around or when your house is broken into. There is no replacement for physical security. In today’s business climate physical security is one of those areas of business where a “good enough” approach is just not good enough. You need a plan! Without well planned and executed physical security, namely a definition of roles and responsibilities, security guards and patrols, access control and video surveillance, any size business can be vulnerable in the event of unauthorized intruders, criminal activity, vandalism, civil disobedience, riots, natural disaster, power failures, security systems failure or terrorist attack. Security should also focus on keeping all staff members and visitors safe. 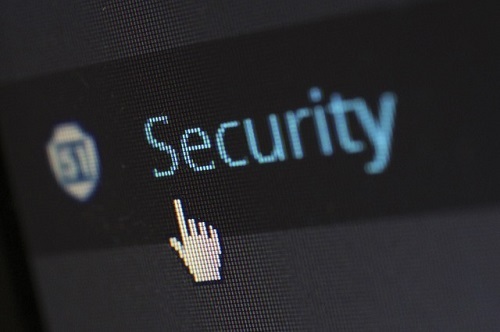 A poorly secured business can give anyone access to the network, unencrypted workstations and servers, sensitive data, and hardcopy information. A deterence, detection and prevention based security plan provides protection against a defined set of threats by informing the user of attempted intrusions and providing resistance to the would-be intruder’s attack paths. Simply said; Physical Security delays an intruder’s advance toward a target long enough to detect and respond with human intervention. Human intervention includes on-site security guards, law enforcement, or other relevant human or physical controls. Where to Start – Security is a Complete System Physical access to areas in the workplace is the best place to start to keep a business safe. Start with an audit done by a well-established security professional. Based on the audit establish standards based policies and procedures for controlling access, the distribution and management of keys, monitoring, deterrence procedures, safety and security guards and patrols. If you keep confidential or valuable information, products or equipment in the workplace, inventory keep these items secured in a locked and monitored area with access only to those who use the items. 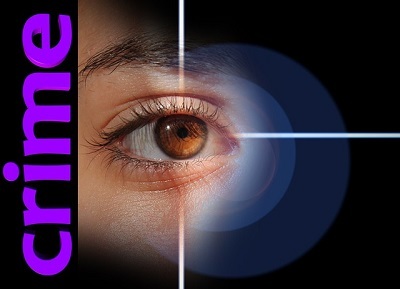 Security Systems & Monitoring – Security systems protect the physical safety of employees, visitors and company assets. Choose a security system that is monitored by an outside company so that either on premises security guards or emergency personnel are automatically notified if a security threat or emergency occurs at the business. Security cameras assist in monitoring the premises and discouraging potential vandalism and unauthorized people from attempting to enter your business. Keep cameras and recording systems running at all times for the best results. Communications – Communications is the key to effective security. Procure good communications equipment such as two way radios to augment cell phones and hard wired phones. Establish a communication and response procedure. Make sure there is a written policy on how and when the employees should respond to threats like a vandalism, intruders, attacks or suspicious behavior or emergencies like fire or flood. Security Guards – Security guards provide real-time on-premises security services that includes static guarding, mobile patrol and access control. Security guards patrol and search premises and surrounding grounds for any suspicious persons, cars or materials and to conduct regular security and fire alarm checks. Security guards work in conjunction with the security system that may already be in place in your business. Whether you have an alarm system, surveillance cameras, bars and gates or another form of security, a business security guard will be able to strengthen and improve security on-site. Security is a business enabler and should be a core business requirement that underpins business services. Is Your Home Alarm System Is Functioning Properly? Posted on: In: Blog | Comments Off on Is Your Home Alarm System Is Functioning Properly? It cannot be emphasized how important it is to get your home alarm system to ensure that it is working well. You need to check your own home alarm system every month without fail because if not, if it is not functioning well, then the whole point of it being there is defeated. Along with checking your home alarm system every month, make sure that you also notify the Monitoring Station before you start checking on your home alarm system. If you do not have the direct contact number of the Monitoring Station then call SAFE beforehand first. How can we start checking if the home alarm system is working well? There are basically two ways you can employ to check if your home alarm system is working well. Firstly you can check it while staying at home with the signals within your house. Secondly you can take the testing process from your house to the monitoring center. These two procedures are slightly different from one another and the differences depend on the manufacturing of your personal home alarm system. If you already possess a home alarm system, then try to read up on the user’s manual to check how its function checking is conducted. If you do not have a user manual or if you are not sure how the checking should be done, then you can read more on the instructions below as the following methods of testing a home alarm system are quite generic and would apply to most types of home alarm systems. This is a less cumbersome process as you would not need to go out of your house to check on your home alarm system. Firstly you need to make sure that your home alarm system is put in the ‘Ready’ mode. That being said, ensure that you do not arm your home alarm system in this step else you are going to be shown as breaking into your own house. After you have placed the system in ‘Ready’ setting, then try to open each of your window or door that is protected by the home alarm system. Make sure you open these one by one and one at any one time. After you have attempted to open your doors and windows which are protected with the home alarm system, then countercheck if the keypad would display for you that the particular door or window is shown that is being opened by you. Then close that particular door or window and re-check that your keypad now says that the door is closed. Go on to testing every single sensor in your system by this method of checking your actions with your keypad. This is a different way for you to take your home alarm system checking process. A lot of people prefer to carry out this method of checking their home alarm from a Central Monitoring System compared to checking it from home, because you do not need to do a lot of routine and manual procedures. In order to carry this out, first you would need to call in to the Central Monitoring Station and tell them to place your system in a ‘TEST’ mode. This is to ensure that they do not think that something fishy is going on at your place by all these weird and random opening and closing of doors with sensors on them. In order to tell them to place your system on ‘TEST’ mode, you would need your central monitoring account number and your pass word ready. This is because you are only allowed to change the mode of your house alarm if you have the security details to do so. In order to find the contact number of your central monitoring station, simply contact your house alarm system provider. They should be able to provide you with a contact number to get this done. Next, move on to arm your system as per usual. After that, try to set your alarm off by opening one of your doors or windows or by tripping your motion detector. Let your house alarm sound off for at least 1 minute. Then you can move on to disarming your system using your code given to you. Again, wait another minute, and then call in to your central monitoring station again to tell them that you received the signal and all is good. Finally, let your central monitoring station know that your monthly house alarm system testing went well and you are ready to finish the testing off at that point. Having an intact house alarm system is crucial for your safety and checking it often would just ensure that it is serving its purpose right. However, if you find yourself in a difficult time and you do end up facing a break in then fear not. At I.G.S security, we are quicker in terms of our response to alarm calls than the police in certain situations. Rest assured, your house is under our watchful eyes once we hear the alarm go off! There is something called ‘situational awareness’ and this is an important life skill. Generally, just by seeing something, we can be aware of any dangers which might be coming towards us and it can give us some time in advance to react. By seeing such dangers, we can also be aware who around us are naturally or purposely ignorant towards such cues. The only way to train your situational awareness skill is to be very observant. Not just with your eyes, but with all of your senses. You have to look at situations as a whole and analyze them along with the people and things involved in those situations. When we are talking about people involved in situations, we are particularly referring to their body language, and that is what the bulk of this post is going to be about. We are going to teach you how someone’s body language could give you cues about what kinds of dangers lie ahead of you due to individuals harbouring dangerous motives. Body language is the way we behave, without ourselves knowing. It is the act of our subconscious mind playing in the way of our movements and reactions. It encompasses a lot of how we portray ourselves, including our way of speech, the way we place our hands and legs, the way our face reacts to things and the way we stand or sit. Such cues from our behaviour can say a lot about our own character and thoughts at the moment especially to the skilled eye. Most people only look at someone’s face to decipher what they are thinking, but there’s a lot more to just facial reactions. Why must we observe body language? There are three main reasons why we should observe body language. Firstly, looking and analyzing someone’s body language makes us aware about what are the kinds of actions people are going to take towards us. With their gestures and reactions, you can gauge how close or far away they are planning to stay from you. Body language also gives us a chance to look into someone’s mind to tell us about what their present thinking is. Finally, body language is an intrinsic system built into all of us to serve as a precursor warning sign for everything we do. Learning body language thus teaches us a lot about someone just by glancing at them once in a while. Now let us run through the clues that would help us to read body language easily. Our faces are very expressive and it is indeed a hard thing to hide what we subconsciously present to someone else with our facial reactions. People who don’t want to be read would keep a masked face which is just emotionless whereas people who have no idea about their body language being read will give it away easily by giving you nervous laughs and facial twitches. Pupil dilation is something to note closely as when someone is about to do something intense, it is natural that their pupils dilate. Their heart rate also increases with similar emotions and an increased pulse becomes visible in the neck and temple area. Breaking into a sweat can also come along with these and someone keeping their mouth open to breathe in is also a sign of tension. There are two parts to the upper body which are of significance: one is the shoulders and the next is the upper chest area. Someone keeping their shoulders relaxed and dropped is obviously calmer than someone keeping them propped up and tight. For the upper chest area, bear in mind that women naturally tend to breathe with in and out movements on their chest and men do that with movements with their stomach. But for both genders, being tense will let them have rapid and shallow breathing which would be obvious from their chest movements. Keep an eye on someone’s hands because when their hands are hanging around their waist area, it is likely that they are keeping it close to pull out a weapon on you at any time. Keeping fists closed shut also is a sign of tension and anger but at the same time many attacks begin with hands resting in a crossed arms position or from being in the pockets. What we are focusing here is how someone stands. Usually what happens subconsciously when someone is preparing for a fleet or an attack is that they tend to move and rest in a style called blading. Blading means that the foot are placed one behind another but in at least a shoulder’s width apart. This might mean that the person is moving back and forth to prepare for an attack or that they are possibly preparing to take a weapon out on you. At I.G.S. SERVICES., we understand how to use body language assessment to our advantage. We provide trained bodyguards for the purpose of VIP and executive protection. Call us today to enquire about our security services.